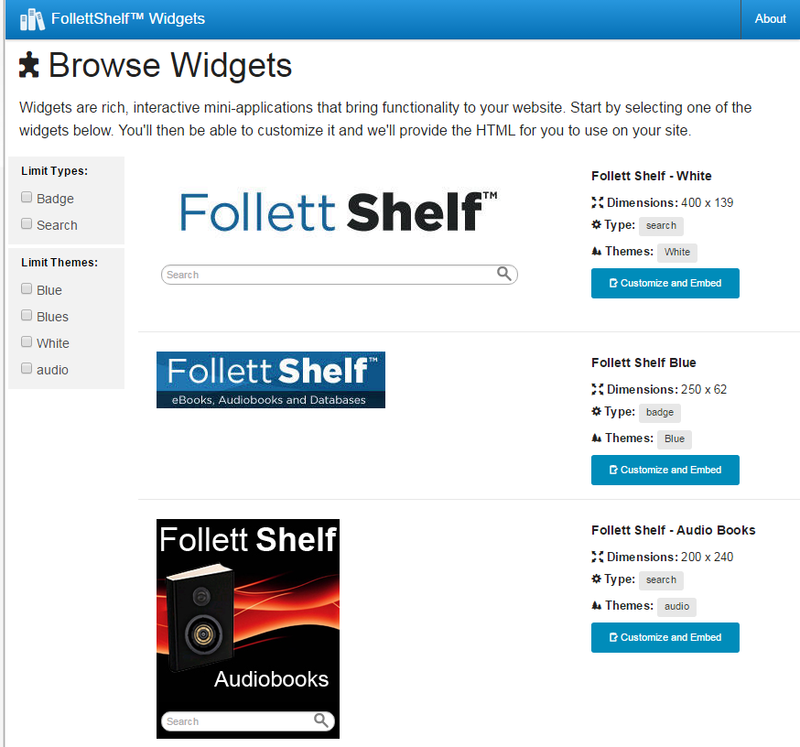 Follett needed an easy way to promote eBook usage and search usage across all of its product lines. The Widget Factory was created as a platform for marketing to create engaging graphics to be used a banners that our customers can insert on their websites. 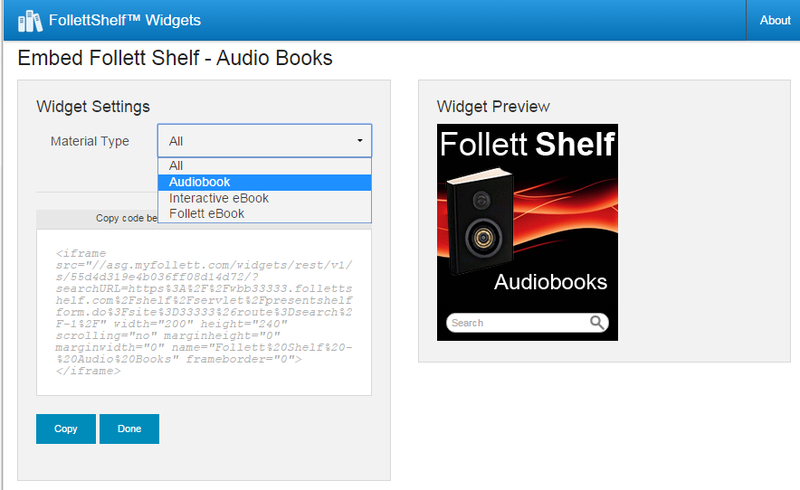 These widgets are smart enough to know which collection to search and can be configured in a wide variety of ways. Each product can have an unlimited amout of badges, specific to holidays or current events and these badges can even kick off a search in their collection when clicked. In addition to the badge widget, there is an interactive search widget that users can type in a search term and then execute that search on their products search page. The simplicity of the Widget Factory is the selling point. 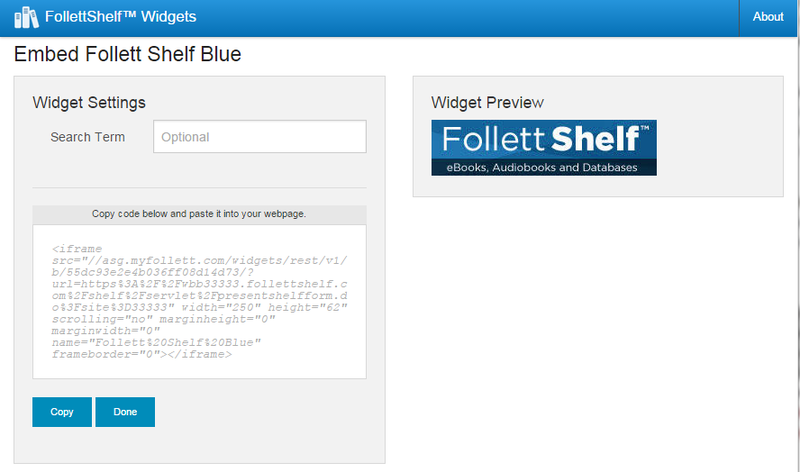 Our customers launch to the Widget Factory from their actual product, select the widget they want to use, copy a small snippet of html code and paste it on their site. Project went to Pilot for Follett Shelf on 2/14/15 and the pilot ended on 6/1/15. 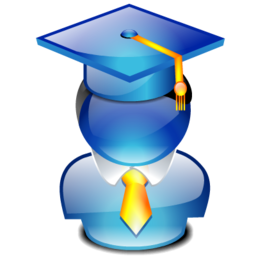 Widgets have graduated! The core development team has picked up the work on this project and has released it to the public.